The Ministry of Health and Family Welfare wrote to all states except Bihar, Madhya Pradesh and Kerala [these three states had the requisite stocks] on 18 January, informing them that the campaign, which was supposed to be conducted on 3 February, has been postponed. In response to this article, the health ministry issued a press release Thursday evening, denying that there was a shortage of OPV or IPV. “We have one less manufacturer now, and demand is growing phenomenally due to new births every hour, so our stocks are stressed,” said a senior official from the health ministry. “Moreover, after the incident, we have added layers of new testing protocols for other manufacturers. 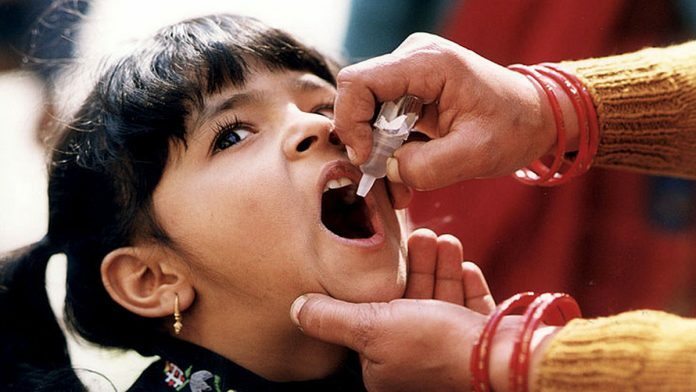 The enhanced testing process has delayed the supply of the stock for the immunisation programmes,” the source added. “The quotations to buy IPV sent by suppliers this year were higher by 80 per cent against last year,” said the official quoted above. “We have applied to receive help from Gavi in the form of subsidised vaccines. We have asked for 50 per cent of our total requirements,” the official added. An earlier version of this report said the health ministry had written to all states, but three were excluded, as explained in the updated report. The health ministry’s statement has also been added to the report upon its release Thursday evening.